Winter is just around the corner. That means it’s time to get your furnace in order, take your sweaters out of the basement, and take your car to your mechanic. Winter driving can take a toll on your vehicle, so it is essential that you have it checked out so that you are ready for the season. 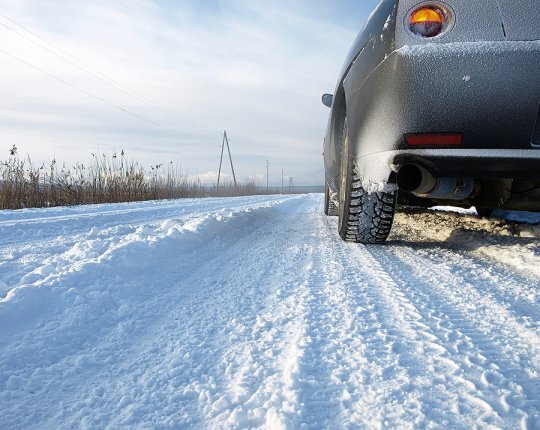 Keep reading to learn what you can do to prepare your car for winter driving. If there are any maintenance items your car is due for but you’ve been avoiding going to the auto repair shop, now is the time. This may include an in-depth service if you’re at a mileage milestone, or simply having your mechanic make sure your fluids are topped off. Let the auto shop know what sort of driving you expect to be doing this winter, whether it’s daily commuting or taking longer drives in potentially harsh conditions. Your mechanic will know what to look for and what to fix to keep you safe on the road this winter. Are your tires worn, cracked, or bald? Make sure you have them replaced before the winter weather arrives. Driving on worn out tires can be dangerous, as it will increase your stopping distance and decrease your grip on the road in wet or icy conditions. Depending on where you live, you may want to ask your mechanic if you need specially designed snow tires. If you aren’t planning on going to rural areas where snow plows are few and far between, you might be covered with all-season tires. Don’t take chances on cold temperatures stopping you in your tracks. 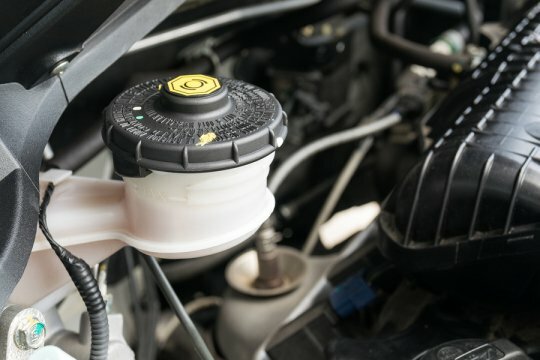 Have your coolant system inspected, and make sure you have the right mixture of antifreeze and water. Your mechanic can test your radiator and hoses and let you know if any parts need to be replaced. Get your car in shape for winter with the help of Murray’s Auto Clinic. Give us a call at (240) 450-2478 to bring your car in for an inspection and auto repairs . Our experienced auto mechanics in White Oak will make sure your car is ready for the season ahead. Your brakes can save your life, as well as the lives of other drivers and passengers in their cars. 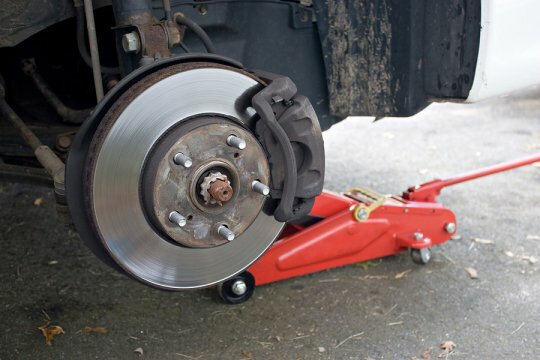 Brake service is of utmost importance if you notice any changes in the way your brakes perform. Strange noises such as squealing or grinding can indicate that a component in your brake system needs the attention of an experienced mechanic. One of the main components of your braking system is the calipers, which clamp over the rotors. Brake calipers have metal plates, also known as brake pads, on the inside, which is what allows you to slow your car down or stop suddenly. If there is any fluid on the calipers, discs, or rotors, it may be a sign that there is a problem within the caliper housing. Each element of the braking system must be in good shape in order for your brakes to work properly, which is why routine maintenance and replacement of certain parts is necessary. Let the mechanics at Murray’s Auto Clinic check out your brake repair needs. Call (240) 450-2478 to discuss your brakes and other vehicle issues . Our White Oak mechanics will help get you back on the road in no time. Four pieces of rubber are all that keeps your car rolling down the road, which is why drivers need to keep their car’s tires in the back of their mind. Old, worn out tires can affect how your vehicle handles and can also affect vehicle safety and even gas mileage. But how do you know when your tires need to be replaced? Here are some of the most telling signs that it’s time to visit an auto repair shop in Silver Spring, MD for new tires. You can also stop in for a professional inspection and recommendation if you aren’t sure whether or not your tires need to be replaced. Smooth spots on the tread might indicate that a wheel’s way out of balance or that your vehicle is out of alignment. Depending on the size and location of the bald spot, your mechanic might recommend tire replacement to make sure you have enough tread life remaining to maintain traction. Be on the lookout for any spots on the sidewall or tread that are visibly swelling outward or bubbling and head straight to your nearest tire shop or auto repair facility to have the tire replaced. It’s usually not very long after a tire begins to swell or blister that it blows out. Uneven tread wear might not indicate that you need new tires, but it certainly indicates that you need to visit a mechanic for service. This is typically a sign of poor alignment or improperly balanced tires, both of which can cause greater wear and tear over time and force you to buy new tires faster than you might normally. For all your tire needs, visit Murray’s Auto Clinics of Silver Spring. Our two conveniently located auto repair shops are your source for all automotive services ranging from maintenance to major repairs and everything in between. Contact us online or call us at (240) 450-2478 to learn more about our auto maintenance and repair services. Why go to dealership or a national brand auto repair shop when you get more affordable and personalized service at Murray’s Auto Clinics? From routine maintenance to major repairs, Murray’s provides all the services your vehicle needs to run great. And because we are a local auto repair shop, we provide real customer service our big name competitors can’t beat. For all your car repair and maintenance needs, visit Murray’s Auto Clinics of Silver Spring, MD . We have been serving drivers in Silver Spring since 1982, and we continue to be one of the most trusted auto repair shops in Maryland. No maintenance tasks are too small and no repair jobs are too big or complex. No matter what your car needs, the auto repair technicians at Murray’s can get it done. Contact us online or call (240) 450-2478 to learn more about our services or to schedule an appointment for your vehicle. Murray’s Auto Clinics of Silver Spring, MD can help with all of your tire needs. 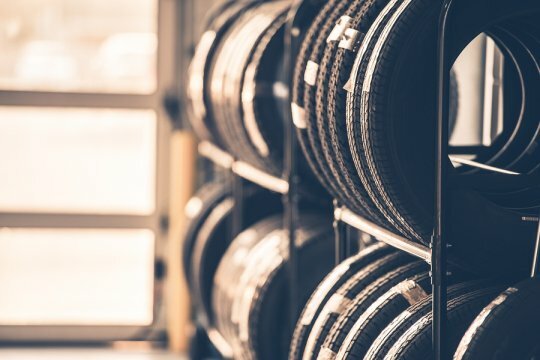 We can tell you all about the different types of tires available for your car so you can make the best decision based on your budget and needs. Visit our website to learn more about our auto repair and maintenance services, or call us at (240) 450-2478 to speak with one of our mechanics.